A local rock star once said, “San Francisco is forty-nine square miles surrounded by reality.” No American city has such a broad sweep of staggering views—of the ocean, of a huge bay, of surrounding hills—or such a high opinion of its own worth. San Francisco has always been rich, too; the city’s great wealth has long underwritten the broadmindedness so vital to its charm. 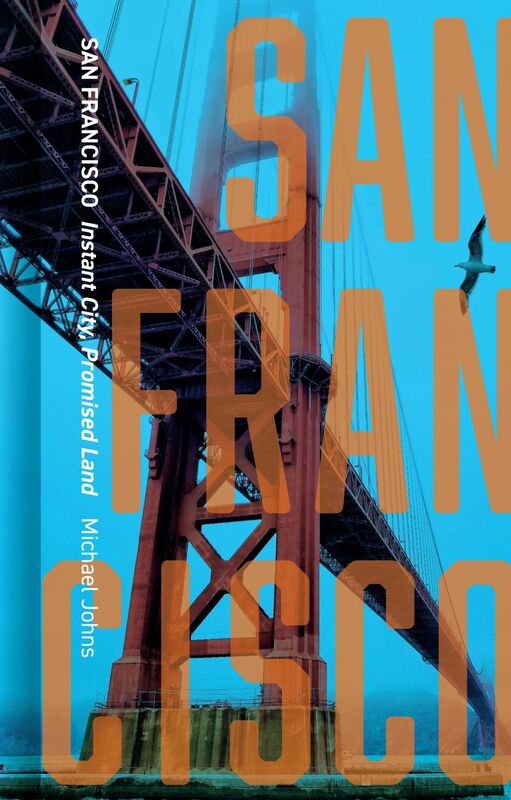 But there is much more to the City by the Bay than money and rarefied air, and, in San Francisco, Michael Johns intimately portrays the history and surprisingly complex sensibilities that give this small city its outsized personality. Johns explores how, despite its sophistication, San Francisco retains a frontier quality that has always attracted seekers—of fortune, power, pleasure, refuge, rebellion. Yet the city is more than irreverent, independent, and a bit outside the law: it’s also historically progressive, technologically innovative, and open to all kinds of people and ideas. As Johns shows us, San Francisco is an easy place to be different—a home to the Beats and the hippies, a vibrant LGBT community and left-wing politics, the rise of Burning Man, and the creation of technologies that make today’s San Francisco the City of Apps. From Haight-Ashbury to the Tenderloin, Chinatown to the Mission, Johns’s urban journey blends historical narrative, personal reflections on the city today, and a treasure trove of images for a true San Francisco treat. "A fascinating history book and guide about The City by the Bay." Gary Kamiya, author of "Cool Gray City of Love: 49 Views of San Francisco" and executive editor of "San Francisco Magazine"
"Johns’ San Francisco: Instant City, Promised Land is a double winner. It’s a first-rate short history of the city from the Gold Rush to the second Tech Invasion, and it’s a smart, savvy, and refreshingly sane look at San Francisco today. Johns brings a rare combination of academic knowledge and journalistic engagement to his work. His nuanced observations make this book one of the best short takes on contemporary San Francisco."